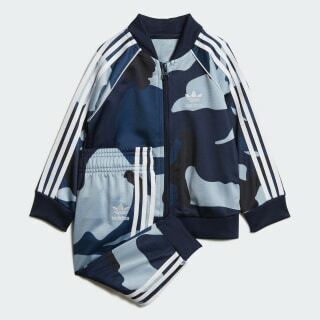 An infants' track suit that's covered with a camouflage pattern. A classic sport design gets a modern update with striking graphics. This infants' track suit has an iconic sport look with 3-Stripes on the sleeves and pant legs. 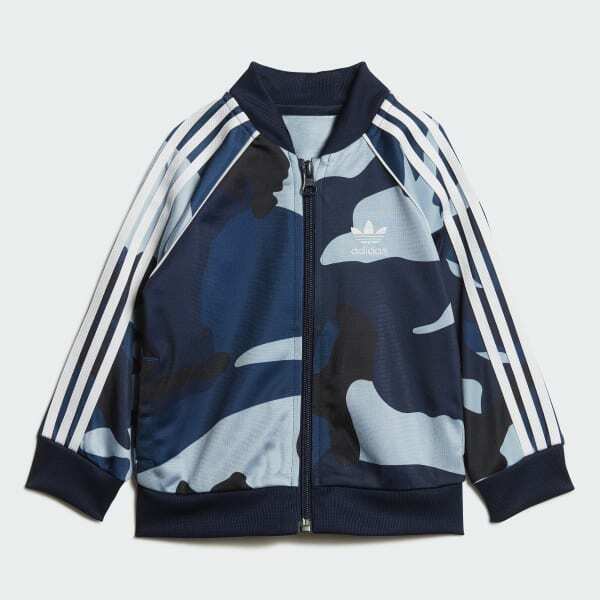 For a modern update, it comes with a seasonal camouflage pattern. The soft, shiny polyester tricot is made from recycled fibres.